Wanted: Fellow adventurers with whom to embark upon a perilous journey. If interested, consider checking out Stout RPGs. 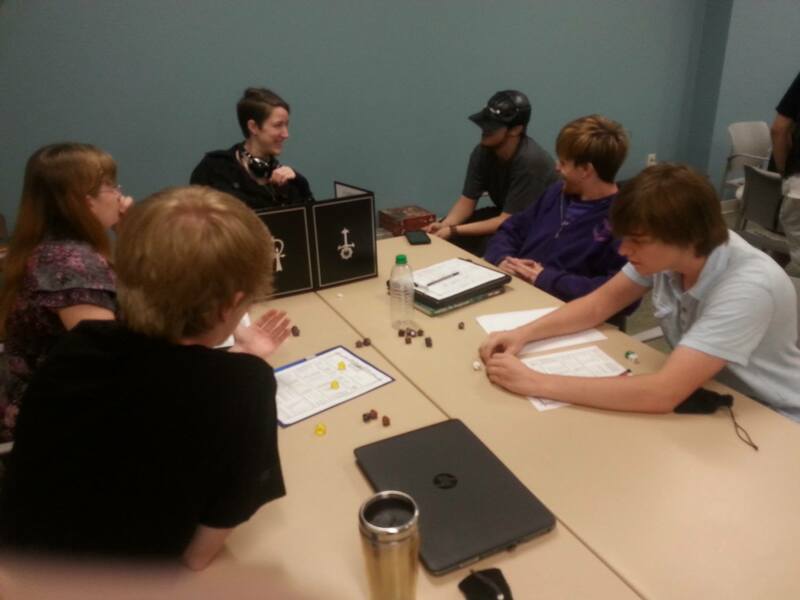 Stout RPG is the campus’ tabletop game club where gamers can come to play, inspire creativity, work together as a team and complete tabletop quests. The club gets together every weekend to have 12 hours of board, card and video games. Those attending Stout RPGs’ events have the option of joining an hours-long game such as Dungeons and Dragons and Shadow Run, or joining a shorter game. The club welcomes all levels of experience in role playing games (RPGs). To try and combat the skill level needed, the club has offered lessons such as RPG 101 and 102 on how to take part in and run the games. But even if you didn’t make it to those lessons, don’t worry; the club officers will put in a good effort to make sure everyone who comes to the event will have a game to play. The club has begun getting together every week this year. Most Saturdays they can be found in either the Memorial Student Center or the Merle Price Commons. For the exact location visit Stout RPGs’ OrgSync page. They meet from 11 a.m. to 11 p.m.